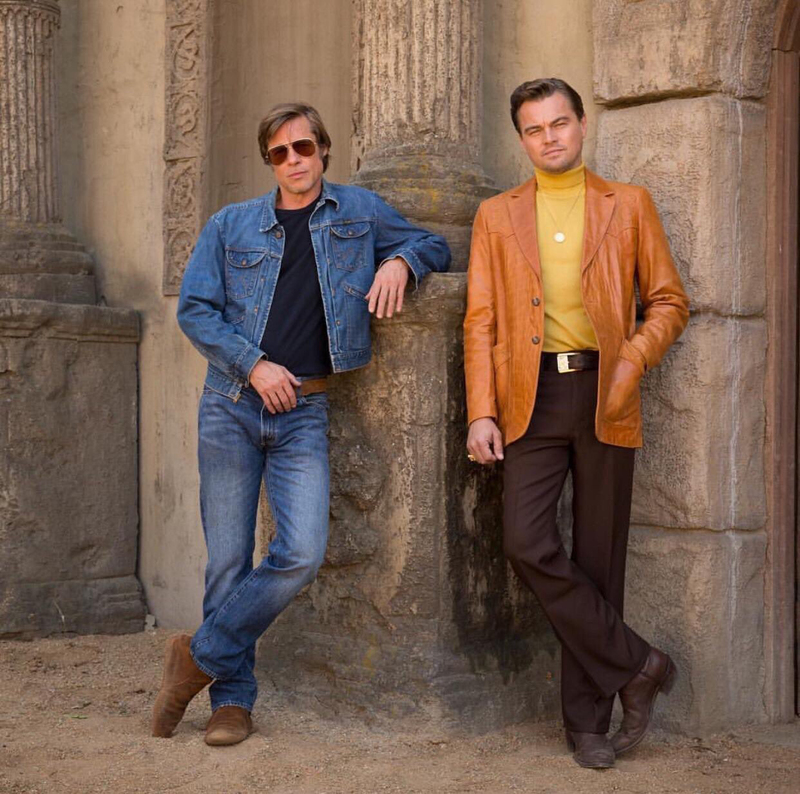 While we’ve only seen bits and pieces of Quentin Tarantino’s new film Once Upon a Time in Hollywood so far, it’s already one of the most anticipated films of the next few years. What Tarantino is doing and bringing to this film in terms of ideas and cast members is remarkable. We know what the story is and who it will follow in Leonardo DiCaprio and Brad Pitt. One of the pivotal parts of this film will be the role of Sharon Tate, who is being played by the incredible Margot Robbie. There isn’t a better choice for this character outside of Robbie, and now we have our first official look at her as Tate on set. The initial word on this project was that it would about the 1969 Manson Murders, but that’s not really the case. Sharon Tate and that story does in fact play a big part in the story, but with Tarantino directing, you never know what to expect in terms of approach. We do know that DiCaprio will be playing a former Western TV star and Pitt will be playing longtime stunt double. DiCaprio’s character lives next door to Tate, hence the connection. Honestly, I don’t expect a direct telling of this story at all, especially since Tarantino is the guy who killed Hitler in his WWII Nazi war film Inglorious Basterds. But then again, Tarantino might be so good that the trick of it all may be him actually unfolding the story as it’s suppose to be told. Who knows? Anyway, as I said earlier, Robbie is clearly the perfect and only choice for this part. The first look image not only assures us that she first the role, but that her character will be doing more scenes on location away from the house where she and four others were murdered in. That once again leads me to believe that Tarantino will be taking a far different approach to this story, which again, isn’t all that surprising for the director. I mean, we’re still wondering whether or not Manson himself will be a character in this story. What do you think of the new image? Is Robbie as perfect for the role as I think she is? What kind of story do you think Tarantino will tell? Could he surprise us with a pretty close true-telling biopic or could he go more in the realm of Inglorious Basterds? Also starring the incredible cast of Timothy Elephant, Damian Lewis, Luke Perry, Dakota Fanning, Clifton Collins, Emile Hirsch, Tim Roth, Michael Madsen, Scoot McNairy, Burt Reynolds and Al Pacino, Once Upon a Time In Hollywoodwill be released on July 26th, 2019.